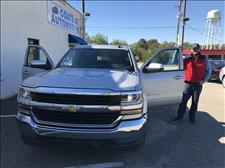 Congratulations to Rigo on his purchase of this beautiful 2018 Chevrolet Silverado!!!! Rigo came first to look at the truck by himself, he liked it. Then, we asked him to take a round at other dealerships to see if they can beat our deal, Rigo came back with his beautiful family to close the deal on Saturday, knowing that it is the best deal around! Before he left our lot, he said that he will let his friends visit us to buy their trucks. Also, we were fascinated by his hard work that made him capable of affording this luxurious truck. Keep up the hard work, Rigo! Mr. James bought this beautiful 2017 Ford F-150 Super Crew XLT 4WD for a price that was more than $3,000 below the book value. Congratulations on your win, Mr. James! A Happy Customer from Florida! 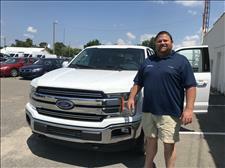 Mr. James flew to us from Tallahassee, Florida to buy a 2018 Ford F-150 Lariat Super Crew 4WD with only 4k miles. He first called us to make sure that the truck was still available, then he put a deposit to hold it and scheduled his flight right away. Mr. James did not hesitate to take the risk, as he knew that he would get the best deal nationwide! He was later picked from the airport in one of our luxury sedans by one of our staff. On his way back, we bought him his launch and filled his truck's fuel tank. Mr. James now saved more than $7,500 on his new truck just by buying from us, what a win! Buying a $40,000 truck could not be easier than that! We appreciate your business, Mr. James!  I am pleased to offer this review of the services of Coats Automotive. My wife and I casually searched the East coast for many weeks to locate a specific make, model and color convertible vehicle. We located our new car in a little town in NC. We had never heard of Coats, never mind Coats Automotive. So, we began our investigation with some skepticism. From the first phone call and with each subsequent encounter, we were received with patient, gracious, business-like enthusiasm. Communication was prompt, direct and truthful. The vehicle was precisely as we expected and, after a month of ownership, has shown no defects. It was the right car at the right price from the right people. We traveled nearly 2000 miles to purchase our new convertible and Kalib, Basem and Anas made the whole effort a seamless pleasure. 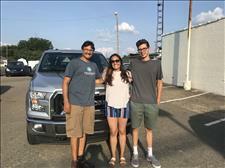 Buying a vehicle on the web can be a daunting process but these guys know how to get it done! This is a family-owned business that I found through Car Gurus. It's a little bit of a drive out there, but really worth it. They were great to work with and respected the fact that we needed to stay within our budget for the car. How often do you walk away from buying a used car and feel good about the deal you got, as well as the experience with the dealer? I definitely recommend considering Coats Automotive when you're looking for a car. "I traveled 2 hours to get to this dealership, unsure of what I was getting myself into. I was pleasantly surprised when I drove up to the Coat's Automotive lot. I was also surprised to find out it was a small "mom and pop" type shop that is not looking to pressure you into to buying a car. The staff was very laid back, but extremely helpful. They had exactly what I wanted and did everything they could to make my visit enjoyable, which is huge when your going to spend a sizable amount of money all at once. I would definitely recommend this dealership to any of my friends. Even though it is a small dealership, the staff strives to give you the best car buying experience you have ever had. And for me they succeeded".